Rihanna’s brother Rorrey owns a store in Barbados called Orign. 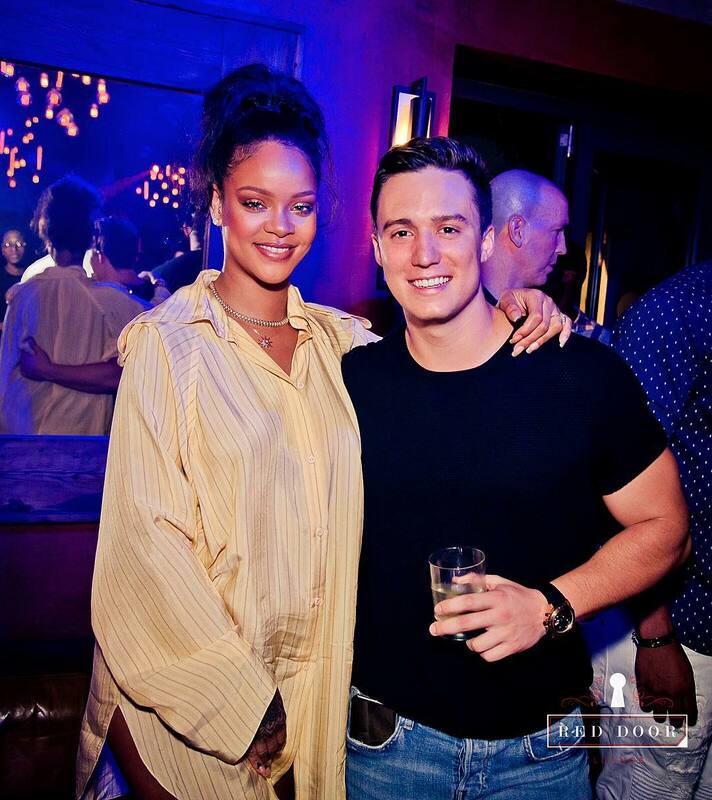 On December 3 Rih attended a pop-up party at Red Door Lounge in support of the store. She posed for photos with the owner Dominic Seale (above) and Jamaican dancehall artist Popcaan. Styled by Jahleel Weaver, Rih rocked a shirt as a dress. Here are the details. The Barbadian megastar wore a yellow shirt with black stripes from Nina Ricci‘s Spring/Summer 2018 collection [Look 12]. It features a button front and epaulettes. Her jewellery that evening included a diamond necklace by Oscar Heyman and Turner & Tatler‘s pearl and diamond starburst necklace. 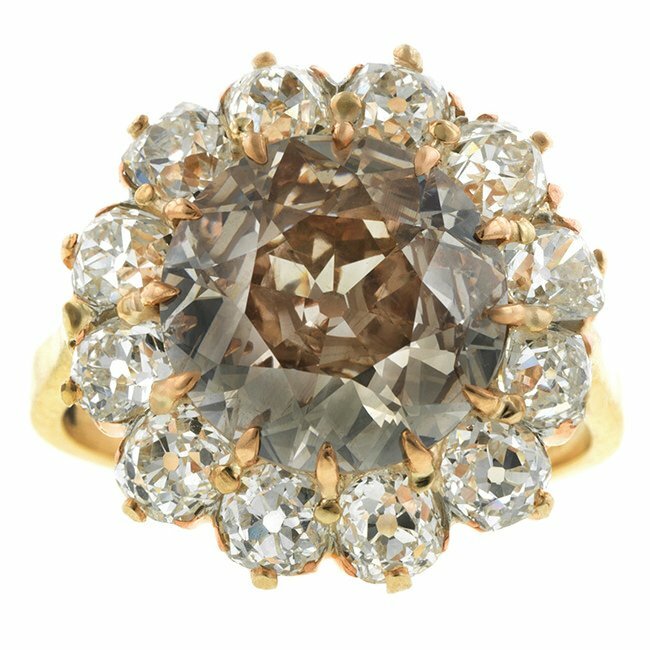 She also sported this Doyle & Doyle antique diamond cluster ring made of 14k gold, which has a yellowish brown diamond at the centre. In this photo of Rihanna arriving at the club we can see her handbag. 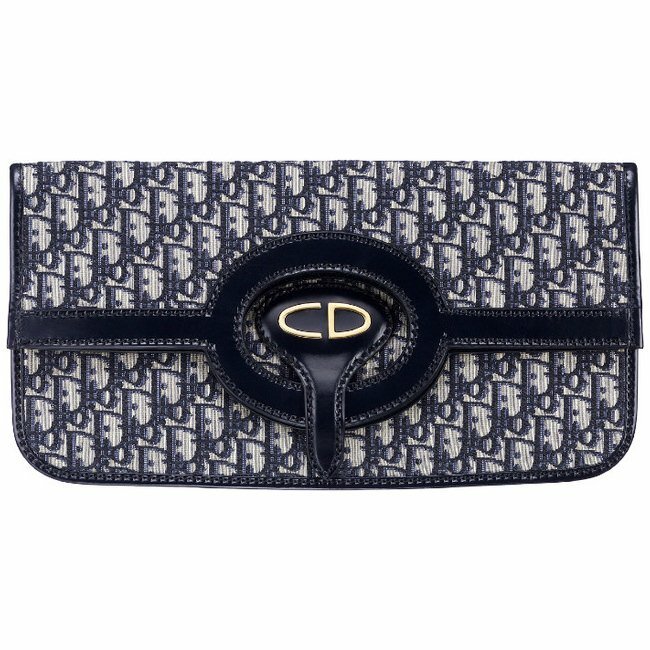 It’s a Dior clutch (similar pictured above) that has multiple colourful patches on the front and it also features the brand’s oblique monogram canvas.